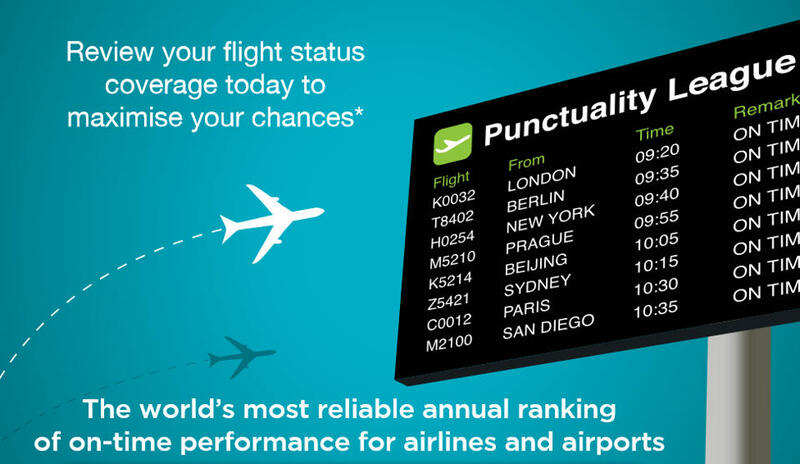 Q TRAVEL – Are you in the need to be punctual? 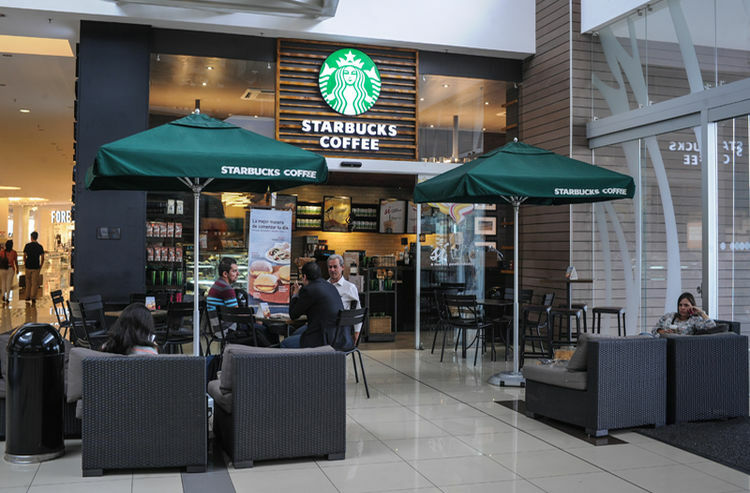 In addition to price and customer service, airline passengers of the world highly value their flight being punctual. To help understand which airlines keep their promise of being on time and which do not, the Official Airline Guide (OAG) reveals the world’s most punctual airlines and airports in 2016. The OAG says it arrived at the conclusions using a compilation of the most comprehensive airline schedules database in the world and the most trusted source of flight status information. 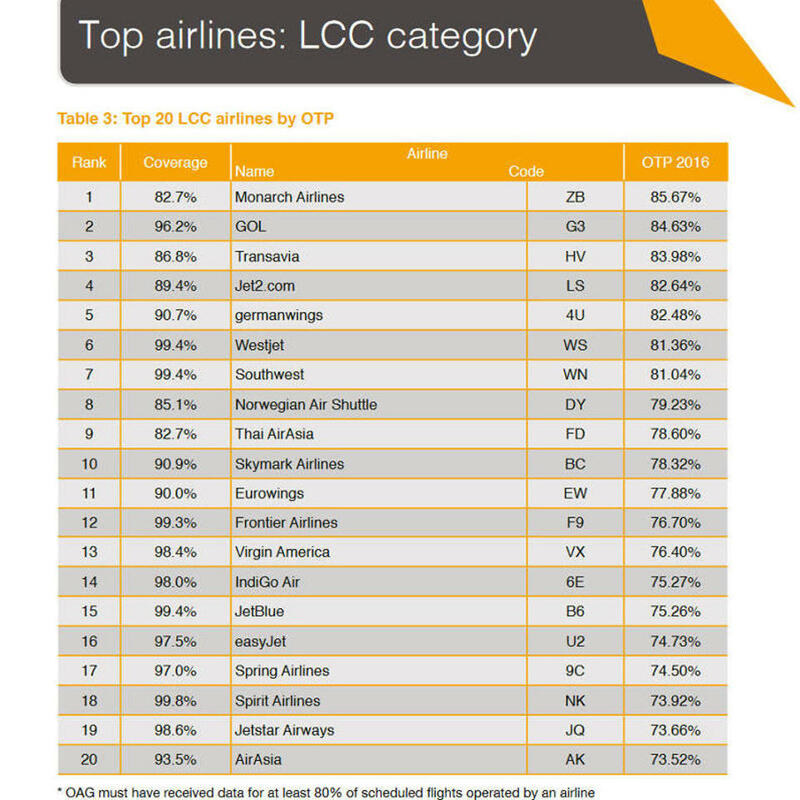 The OAG Punctuality League 2016 reveals rankings of all airlines – mainline, low-cost and by region – plus the best small, medium, large and major airports. Copa Airlines, with multiple daily flights to and from Costa Rica, Copa, repeated its 2nd place ranking of 2015 with OTP of 88.75% in 2016. Alaska Airlines, with regular to the San Jose and Liberia airports, took seventh position overall with a score 86.05%, followed by Iberia, with daily direct flights between San Jose and Madrid, ranked in eight position, with a OTP of 85.67%. Delta Air Lines is the largest airline featuring among the , operating the second largest number of flights of any airline in 2016, had over 84% of all flights arrived on time. The Punctuality League 2016 includes eight airlines based in Latin America which meet the qualifying criteria. At the top of the rankings is Sky Airline with OTP of 91.13%. 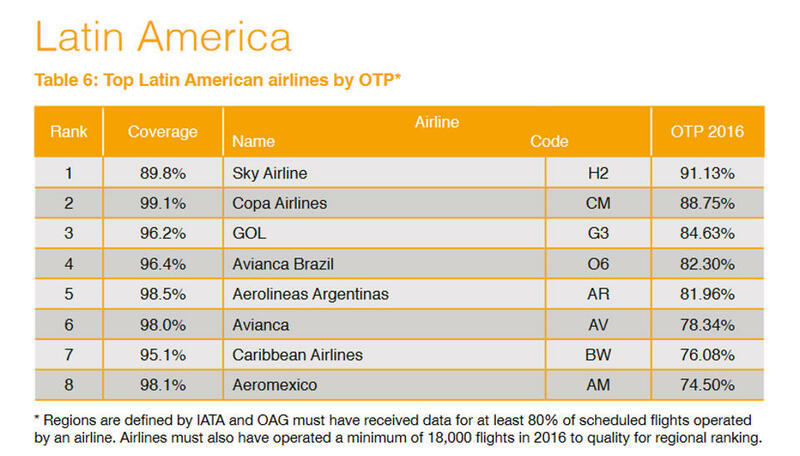 Sky Airline is the only airline in Latin America to achieve OTP of over 90%. 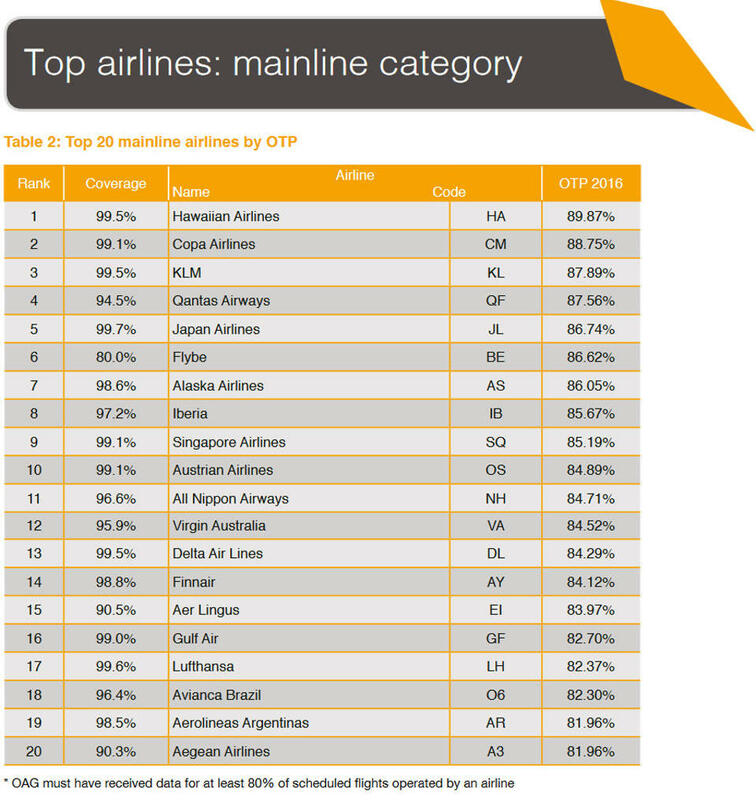 Copa Airlines narrowly misses the top spot, appearing in second place in the region with OTP of 88.75%. is ranked 3rd with OTP of 84.63%. For Airlines by region click here. The Official Airline Guide ranked the San Jose – Juan Santamaria international airport (SJO) – 20th in ‘Top 20 Medium Airports’, with OTP of 82.3%. The average on-time performance in 2016 among the Top 20 Medium Airports was 85.4%, meaning this percentage of arriving and departing flights operated under 15 minutes of their scheduled arrival and departure times. The average data coverage for these 20 airports was 94.7%. 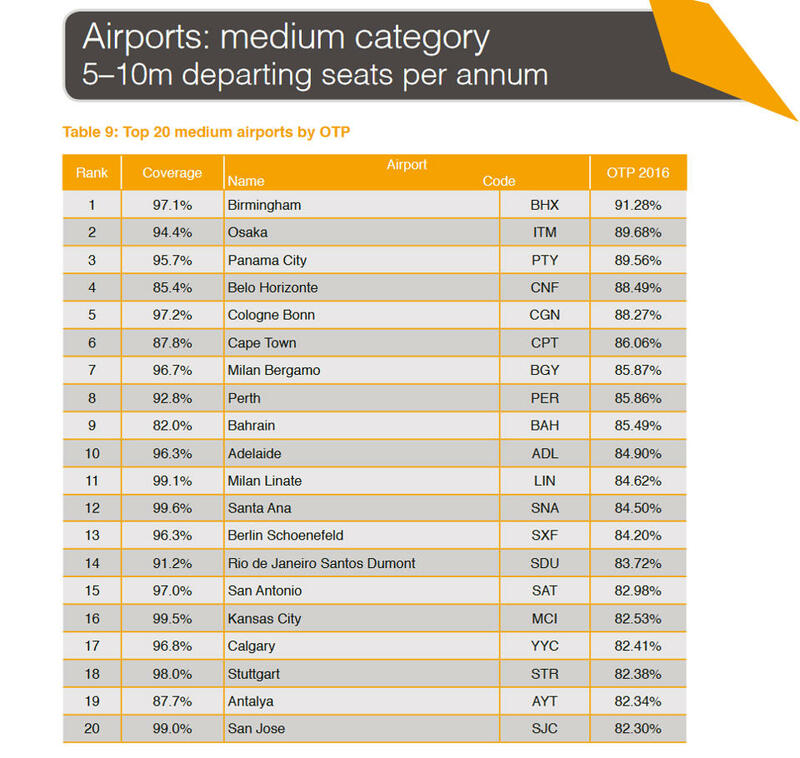 In Latin America, the Tocumen international airport in Panama (PTY) was the best performer (third in the Top 20 Medium Airports with OTP of 89.56%); followed by Belo Horizonte (CNF) in Brazil with OPT of 88.49%; and San Jose (SJO).